When in hurry, you look for a pair of shoes that are easy to wear by just slipping them on, and off you go. The Marc Joseph New York Women's Leather Lining East Village Rhino Loafers does exactly the same for you, while also keeping in mind the comfort factor. Complete with a bit of heel, these loafers are elegant in looks and exude fine craftsmanship. Light in weight, these loafers are extremely durable, as they feature a rubber outsole. The gel heel insert takes care of the comfort factor while the leather lining on the inside ensures that they are soft against the skin. HIGH-QUALITY CRAFTSMANSHIP: Designed from the top-of-the-line leather, these loafers are crafted by skilled craftsmen in Brazil and are designed in New York. GEL HEEL INSERT: Offering enhanced comfort to your feet, the gel heel insert offers all-day comfort to your feet. DURABLE RUBBER OUTSOLE: The rubber outsole makes these loafers last a long time. PAIR IT WITH: Wear it with a casual jeans and top or pair it with loose pants to get that cool look. 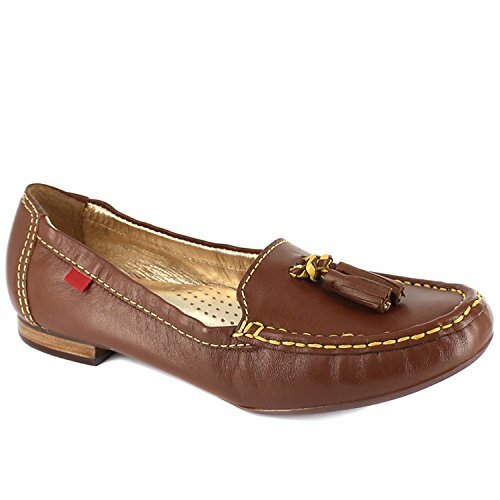 ANY DAY WEAR: These loafers can be worn easily with both formal as well as casual dresses.